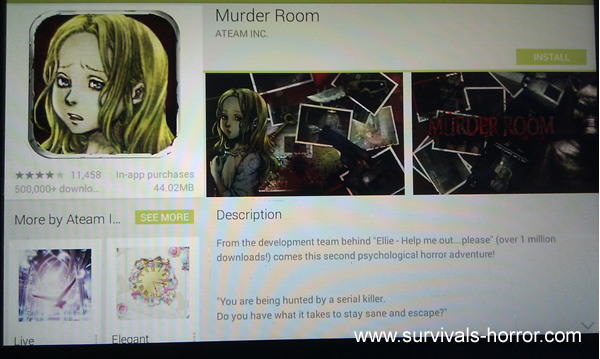 Murder room is an atmospheric horror adventure game for your android device (available free from the google play store). It is the sort of game where you walk around finding objects that can help you later on in the game whilst also discovering more about what is going on. For instance, when you find a small knife on the table, pick it up and tap it to read what is written on it. That information will give you a code. Later, when you find the closet you will use that code to open the closet and get a doll… and so it goes on. You can see a walk through of the game below.